Vehicle graphic wraps and magnetic signage are popular types of advertising. For service professionals, car signs, vehicle graphics, magnetic signs, rear window signs. Turn your vehicle into a rolling advertisement that demands attention and sets your business apart from the crowd. Vehicle wraps widen the impact of your advertising Rand. Our full-colour, high-resolution vinyl graphics are coated with a protective laminate that offers superior protection. 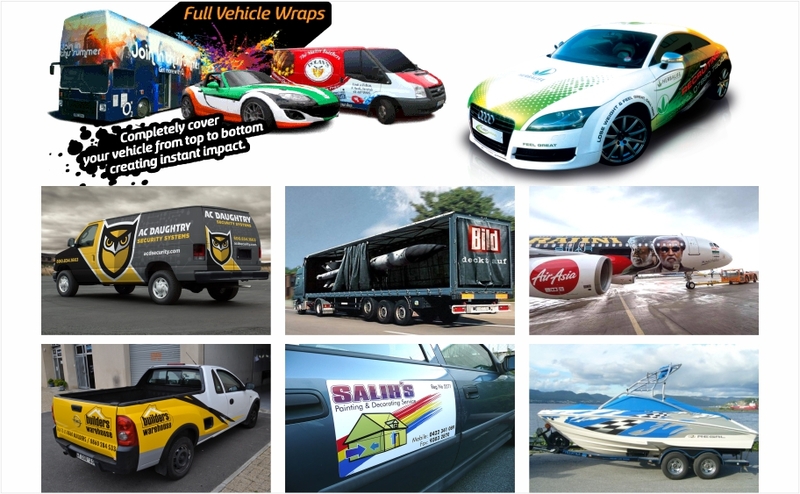 These high-impact graphics can be affixed to motorbikes, cars, trucks, vans, boats, planes, etc.